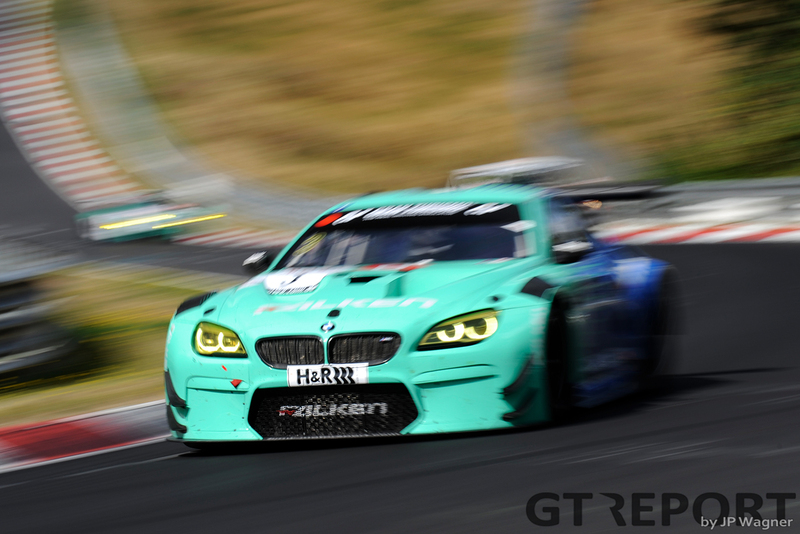 Falken Motorsports’ Stef Dusseldorp came close to victory in the 41. 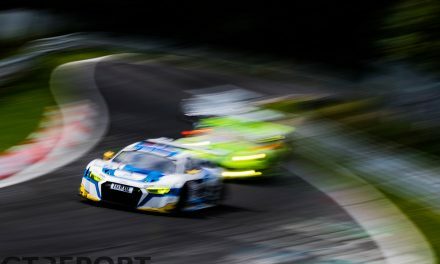 RCM DMV Grenzlandrennen—but whatever he tried, it just wasn’t enough for the BMW M6 GT3 driver to defeat his Falken Motorsports Porsche 991 GT3R team-mates. Bad luck with yellow flags had cost the team valuable time, time Dusseldorp and co-driver Alexandre Imperatori were unable to regain. In the end the Dutchman settled for second place and a back-to-back podium finish. 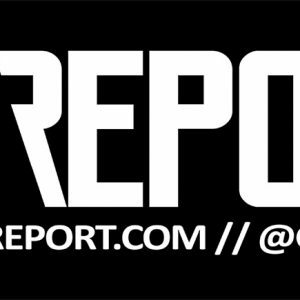 “This of course is a fantastic result for the team,” Stef Dusseldorp says. 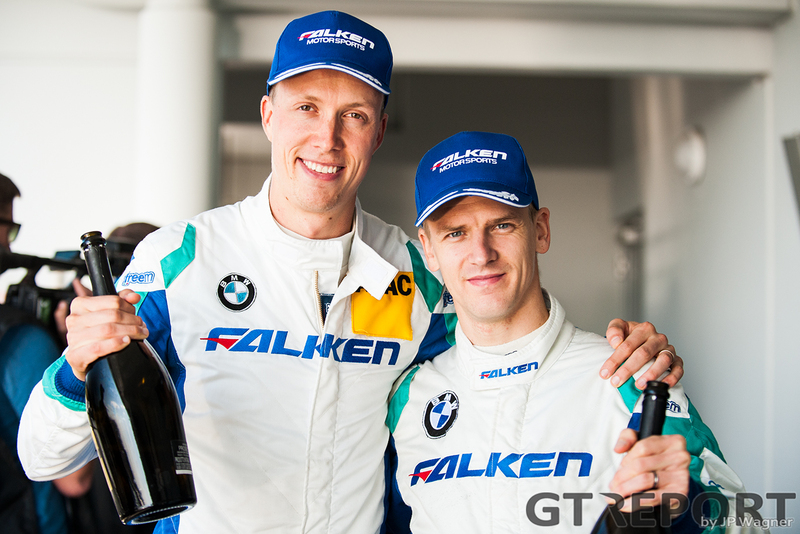 “A one-two finish and the first victory for the Falken Porsche, that’s amazing. 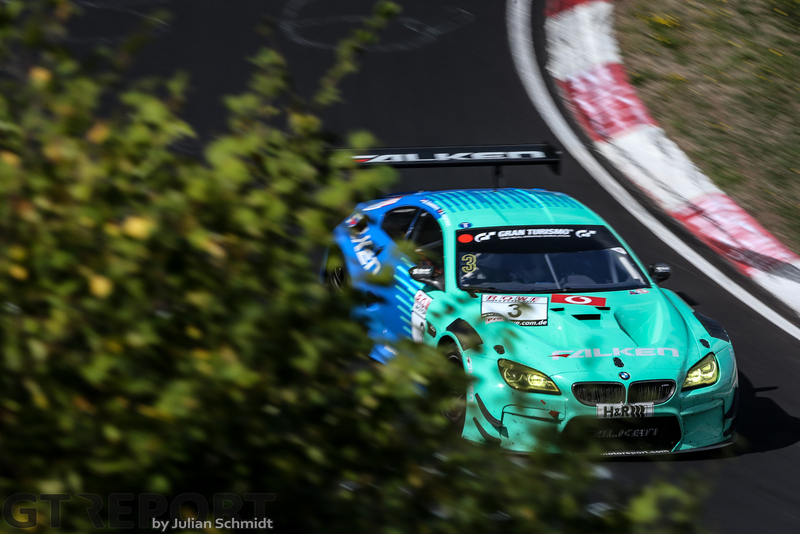 The race began promising for Falken’s BMW squad: at the start Alexandre Imperatori immediately slotted into second place behind the Falken Porsche sister car of Klaus Bachler. 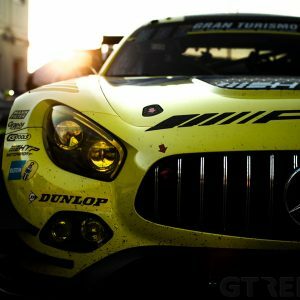 “Alex did the start and I got in for the second stint,” Dusseldorp continues. Hope to win was still alive when the halfway mark was reached. 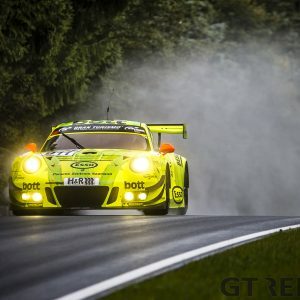 It was there, at the start of the penultimate stint, that everything changed: Imperatori, going at it on his first lap out of the pits, got caught out by double yellow flags at the fast Döttinger Höhe straight, forcing him to slow down to 120 kilometre per hour and watch how the the Porsche exited the pits seconds in front of him. 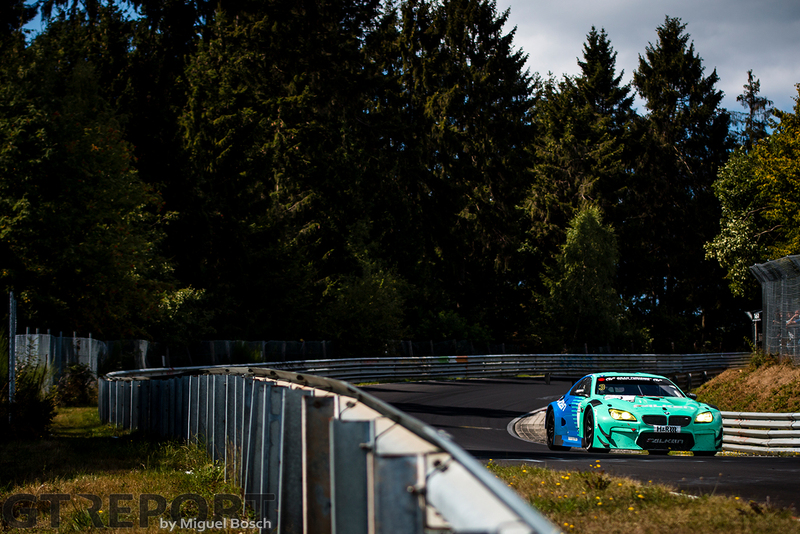 Although the Swiss managed to take the lead a few laps later, Bachler controlled the gap and profited from a later and therefor shorter final pitstop. Dusseldorp’s push for the lead in the last hour was to no avail: he crossed the finish line close behind the Falken Porsche. 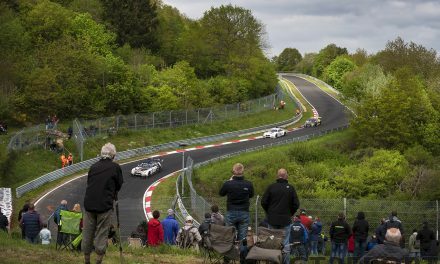 Next race sees Dusseldorp make his final appearance at the Nordschleife in 2018. 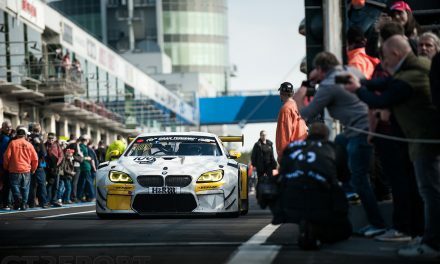 It’s his last chance this season to repeat his sole VLN victory. 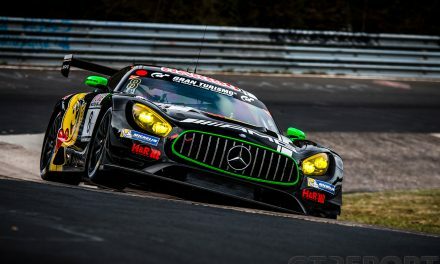 “VLN7 is my last race this season, I’m driving together with Dumbreck.